Updated 4:08 p.m. | Posted 9:46 a.m.
Gov. 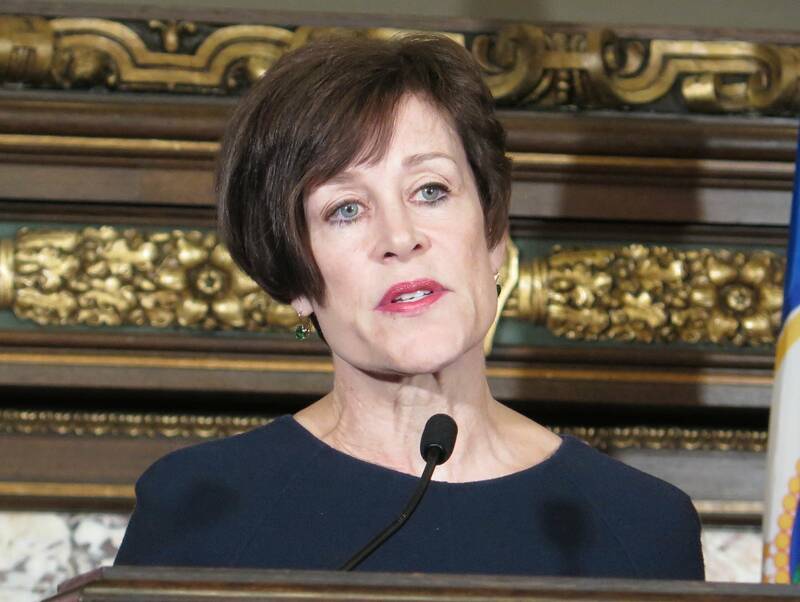 Mark Dayton on Thursday tapped former Minnesota Supreme Court Chief Justice Kathleen Blatz to take over as interim chair of the Minnesota Sports Facilities Authority. Blatz was named to the post a week after the MSFA's two top leaders — chair Michele Kelm-Helgen and executive director Ted Mondale — stepped down amid criticism of the agency's use of suites at U.S. Bank Stadium. Mondale and Kelm-Helgen had been in the crosshairs for weeks following media reports that agency friends, family members and allies were enjoying Vikings games, concerts and other perks in the authority's suites. The perks, including free parking and tens of thousands of dollars of free food, were subject to a highly critical report by Minnesota Legislative Auditor Jim Nobles, who said the agency's actions had "violated a core ethical principle." The authority banned the family and friends invitations in a formal policy change in December. State lawmakers, however, kept up the pressure. Rep. Sarah Anderson, R-Plymouth, chair of the House State Government Finance Committee, authored a bill to establish a new oversight panel, appointed mostly by the Legislature. Dayton said Thursday it was time to turn the page on this stadium suites controversy, noting that the public-private partnership that helped build U.S. Bank Stadium was successful and on budget. He said he's still weighing his position on legislation that would take away his power to appoint most of the stadium authority and give it to the Legislature. Blatz, a former Hennepin County judge and GOP lawmaker in the Minnesota House, was already serving on the MSFA board. She told reporters Thursday she did not want to be the permanent chair of the stadium authority but wanted to use her interim position to build on the stadium's success. Blatz suggested she may prefer an outsider to fill the open executive director spot, at least temporarily, since the staff is small and she wonders if they may already have enough to do. Her appointment won praise from one of the stadium authority's chief critics. State Sen. Julie Rosen, R-Vernon Center, was one of the original authors of the stadium bill. She also has proposed legislation to restructure the stadium authority. "I was looking to blow up the board," Rosen said. "I still need an answer why we should keep the board ... I think there was such a mess in that board for so long that it was like why are we doing this." She said she looked forward to talking about her legislation with Blatz, who she also served with on Dayton's child abuse task force. Blatz and Dayton go way back to the first administration of Gov. Rudy Perpich in the late 1970s, when Dayton was economic development commissioner and Blatz a GOP House member. Blatz has served as a troubleshooter for Dayton before. He appointed her to a child abuse task force in 2014, in the wake of revelations about failures in the child protection system. She also served as "special master" to mediate in Minnesota's state government shutdown in 2011, during Dayton's first term.